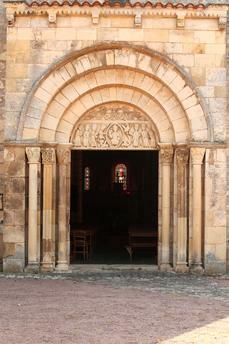 Mars-sur-Allier (Dép. 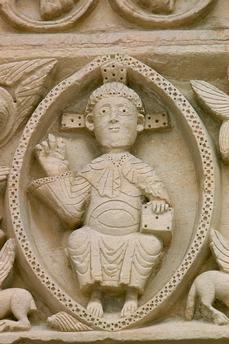 Nièvre, Burgundy, France). 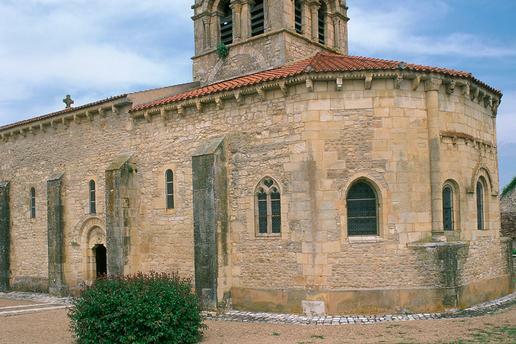 Church – Église Saint-Julien (12th Century). 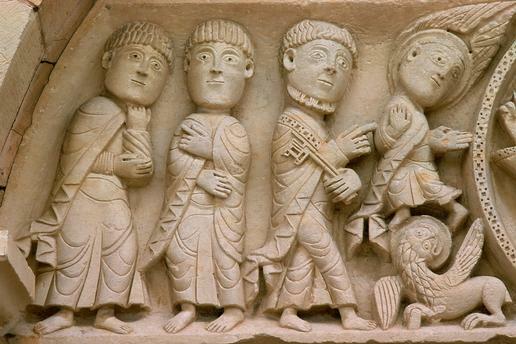 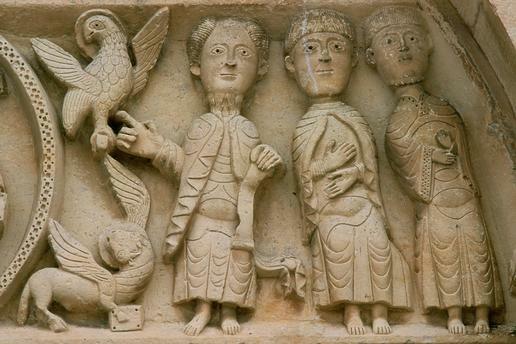 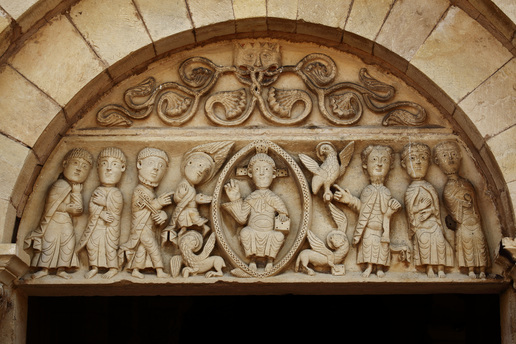 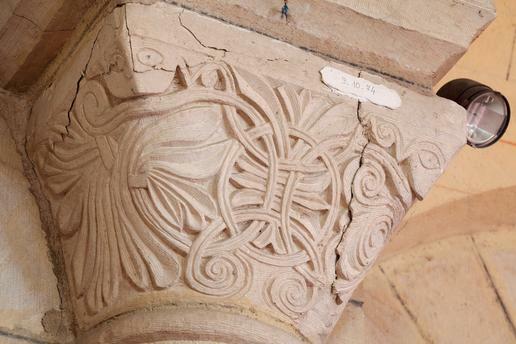 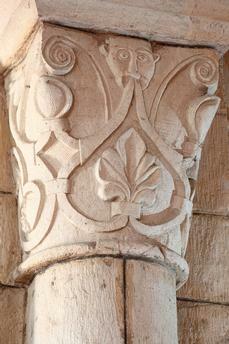 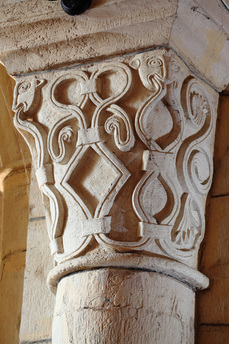 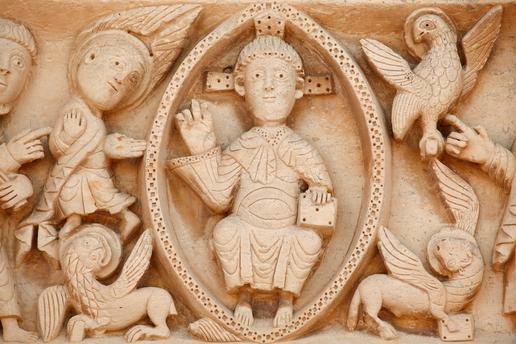 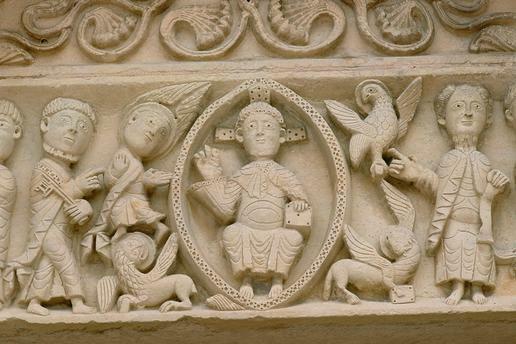 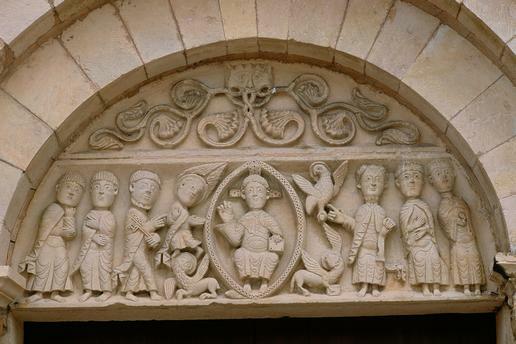 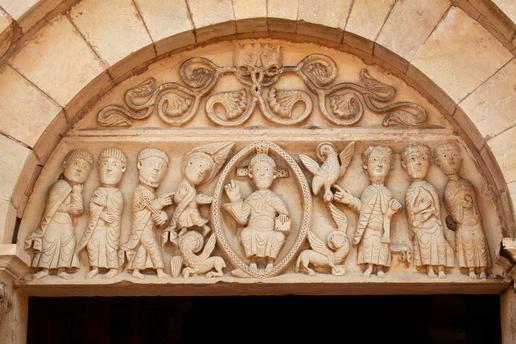 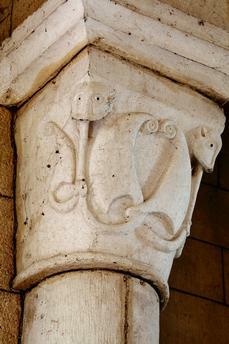 Capital decorated with a relief depicting mythical creatures.